Vitamin K, which is also referred to as phylloquinone, is a micronutrient that is fat-soluble and found in various concentrations within a large selection of foods. The body needs Vitamin K to help in with producing proteins that are known as coagulation factors, which form clots in the blood to stop bleeding. It is recommended that you should take daily an intake of 120 micrograms of Vitamin K for men and 90 micrograms of Vitamin K for women. There are many different vegetables out there that are rich in this vitamin so you can make sure that you getting the correct amount of intake of this very vital nutrient. 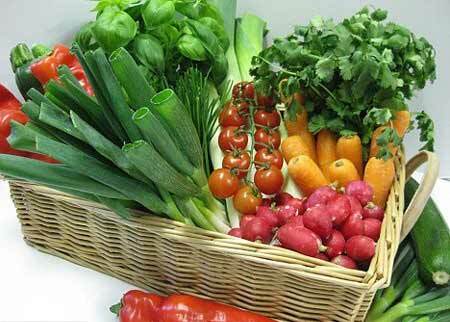 Leafy vegetables are known as one of the richest Vitamin K foods. Known to be one of the greatest sources or iron, spinach also has a very high Vitamin K concentration. Just 1 cup of raw spinach will give you Vitamin K of nearly 145 micrograms. Spinach that is cooked can provide anywhere from 890 to 990 Vitamin K micrograms in each cup. Kale is one of the other great sources for Vitamin K, having over 1,000 micrograms in each cup. Raw lettuce, which includes Bibb, butter, Boston, Romaine and iceberg varieties may contain anywhere from 60 to 70 micrograms of this nutrient in every cup. Collard, dandelion, beet, turnip and mustard greens are all great sources of Vitamin K foods that you can include with any meal. Just a single cup of collard greens cooked will contain over 800 micrograms of the K vitamin. Servings that are close to that of mustard, dandelion, beet and turnip greens can provide you with a range of 420 to 580 Vitamin K micrograms. Greens that are chopped and added into salads, casseroles, soups and stews can dramatically increase the amount of Vitamin K that you take. Cabbage, Brussels sprouts and Broccoli are all great vegetables that are found in the family of Brassicaceae plants. These vegetables are all very rich in fibers and other micronutrients, which includes the Vitamin K. Just one cup of Brussels sprouts can provide you with nearly 220 to 310 micrograms of Vitamin K. A single cup of broccoli that is cooked contains around 170 to 230 micrograms of Vitamin K in each cup, and green cabbage that is cooked contains around 160 micrograms. When you include this Vitamin K foods into other meals, you increase your intake greatly. Okra and asparagus are both great choices that you may include into meals to help make sure that you are getting enough Vitamin K. Just one cup of asparagus can provide you with about 150 micrograms of the Vitamin K nutrient and a serving of the same size of okra has about 70 to 90 micrograms. When you include specific types of Vitamin K foods such as fruit into your meals, they can help you to get the right amount of the nutrient that you need. Prunes are a great source that contain nearly 65 micrograms of this nutrient in each cup and have a great advantage of helping your bowels move regularly. Blueberries are also a very good source of Vitamin K, that has around 50 micrograms in each serving of one cup. Blackberries can give you almost 30 micrograms of Vitamin K in each cup, while a medium sized kiwi can contain around 30 micrograms. A deficiency in Vitamin K may interfere with the clotting of blood and may lead to heavy menstrual periods, blood in the stool and urine, easy bruising, bleeding gums as well as nosebleeds. When your body doesn’t have enough Vitamin K, you blood is much thinner and your chances of bleeding is very high. There is a severe condition that is called intracranial hemorrhage, also known as bleeding inside of the skull, which may also be a cause in young children who do not have enough Vitamin K. In older adults, a deficiency in Vitamin K is highly unlikely, since there are many Vitamin K foods that they eat every day. If you are taking any medications that are anticoagulant or if you have any conditions that are malabsorption, then you are at a higher risk of developing a deficiency in Vitamin K. This is the main reason as to why it is very important to make sure that you are getting enough Vitamin K into your diet each day. With all of the great choices, there is something that you will like. ◀ What Are The Primary Causes of Low Vitamin D Levels?